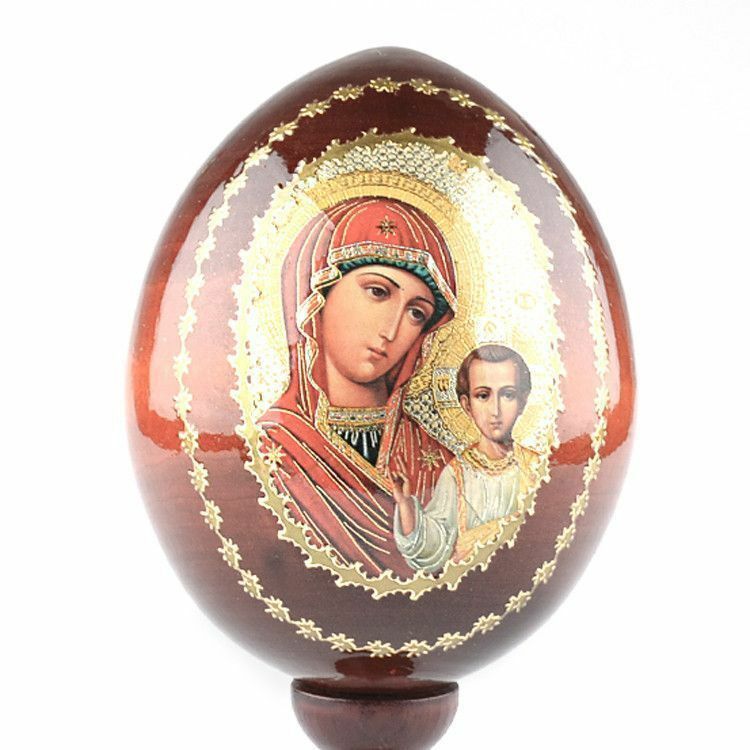 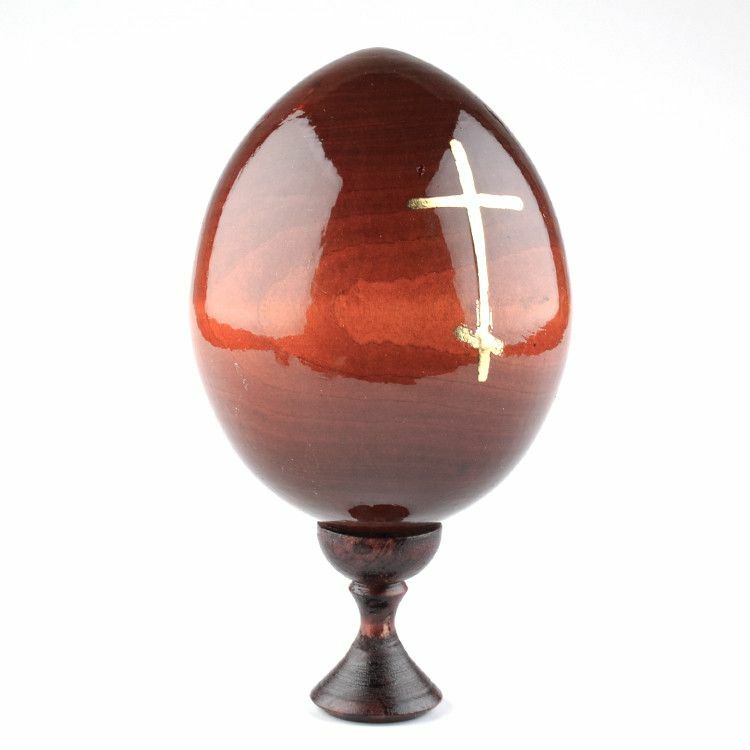 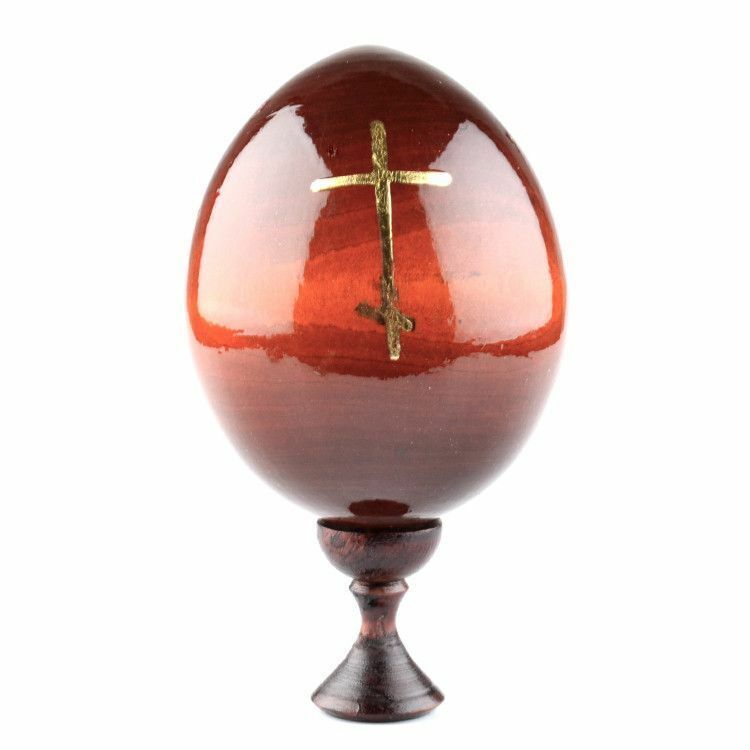 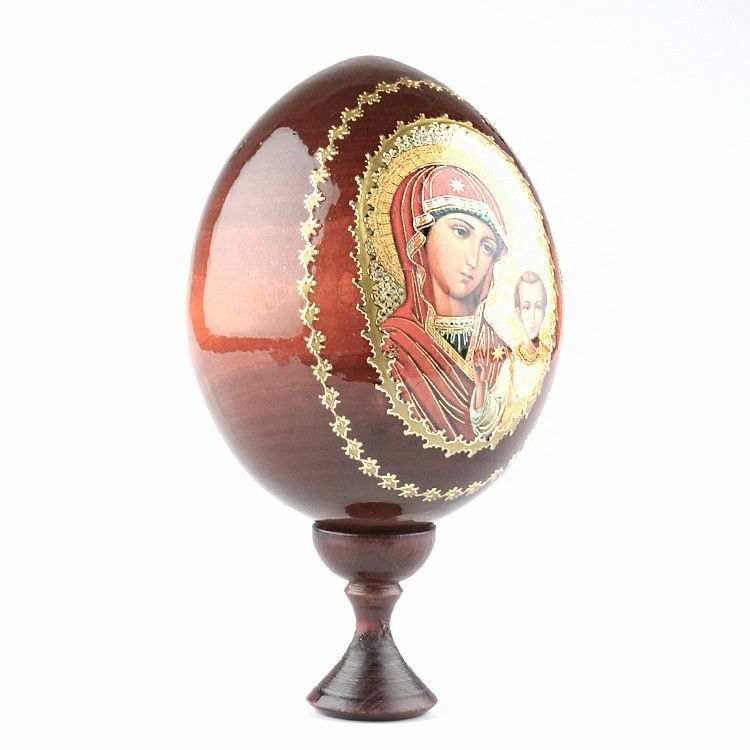 This richly adorned Russian wooden egg on a pedestal was made by hand. 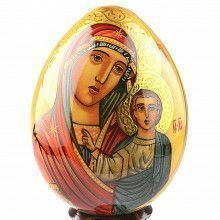 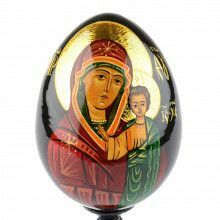 This icon-egg is a decal depiction of the Holy Mother and Baby Jesus. 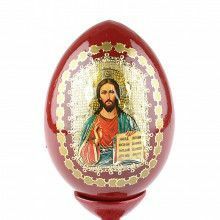 The deep religious history of the Russian people has long been epitomized in the carving and decorating of eggs. 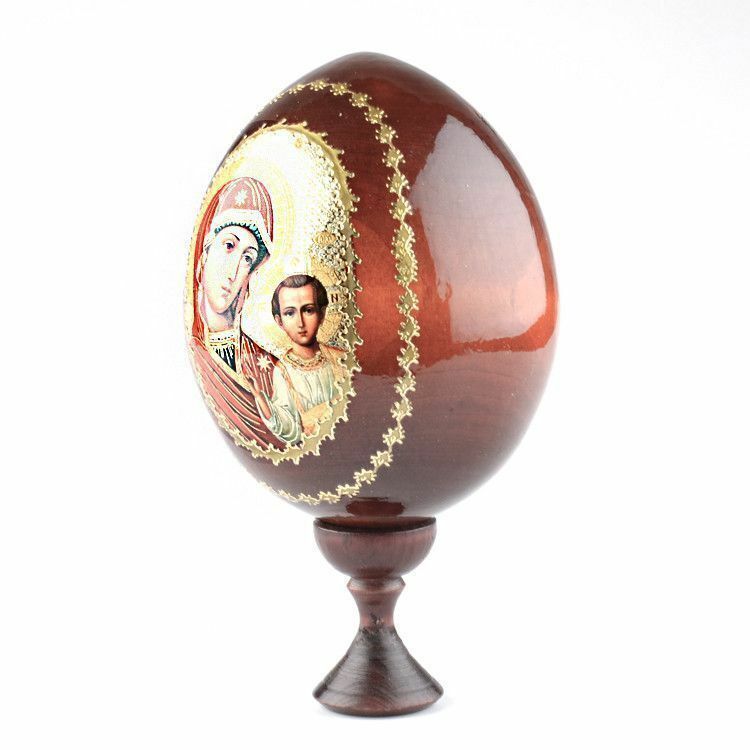 Bring home a piece of Russian tradition today with this wonderful icon-egg.